At JARO Upholstery we can custom make your window seating to your specs or we can help you design your very own individual seating whether it be the whole unit or just the seat cushions. Styles include fixed permanent bases or stand alone pieces so you can move them around. We have all the latest fabrics, leathers, vinyls and water proof fabrics for you to select from. We use the best frames, foams and coverings to create that special piece of furniture that you will treasure for a long time. Ring Jason and Robyn on 0402 188238 to arrange a time to see all your options. 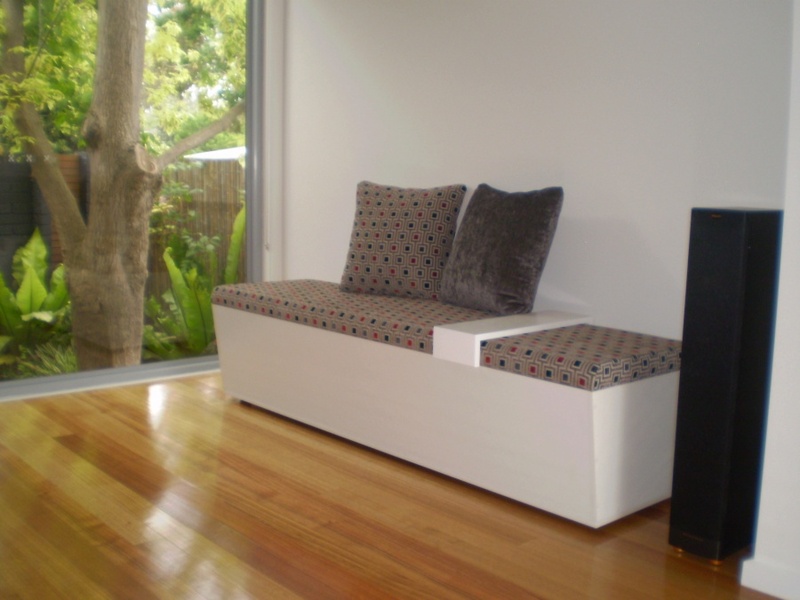 If you already have pictures or drawings of your requirements you are more than welcome to email them to enquiries@jaro-upholstery.com.au and we can draw up a quote for you.